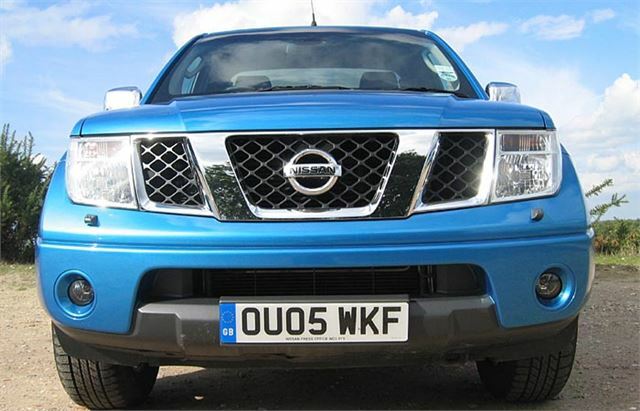 The new 174PS Nissan Navara is currently king of the pick-ups. Not only will it carry more than a ton, it will also cruise at more than a ton and for that it deserves the Respect shown in its TV commercials. 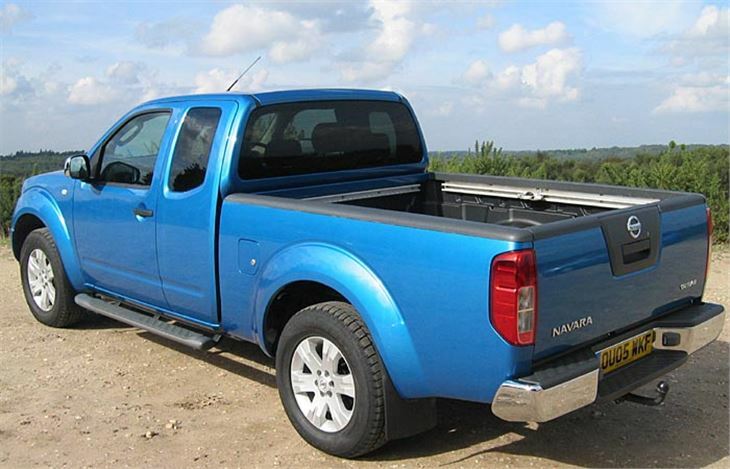 Compared to the average car, and previous generation pick-ups, it’s a big vehicle, longer than the average parking space. Sitting high on 17” wheels with chunky 255/65 R17 Goodyear Wrangler tyres, getting in means a climb. But the neatly minimalist dash, the multifunction steering wheel, even the ‘Birdview’ satnav are all familiar Pathfinder kit, which is hardly surprising as the two vehicles were developed side by side on the same ladderframe chassis. Same long-reach, floppy gearshift, too, which quickly becomes acceptably precise once you get used to it. Performance is slightly better, with 60 reached in 10.5 seconds rather than the 11.2 of the heavier Pathfinder, and a (conservatively estimated) top speed of 105mph. Two aspects that aren’t the same, though, are the handling and the ride comfort. 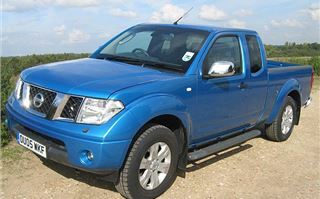 Instead of a coil sprung rear axle, the Navara’s finned diff is suspended on a pair of cart springs in the time-honoured manner of Constable’s ‘Haywain’. 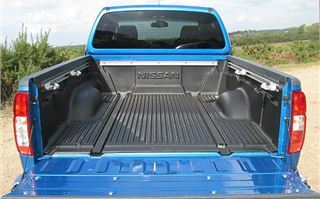 It has to be, so the large 1,861mm by 1,560mm load deck can carry 1,085kg and company drivers temporarily get away with BIK tax on just £500 a year. But those springs make it very stiff and bouncy at the back and apt to lift and spin a rear wheel if you start being silly. 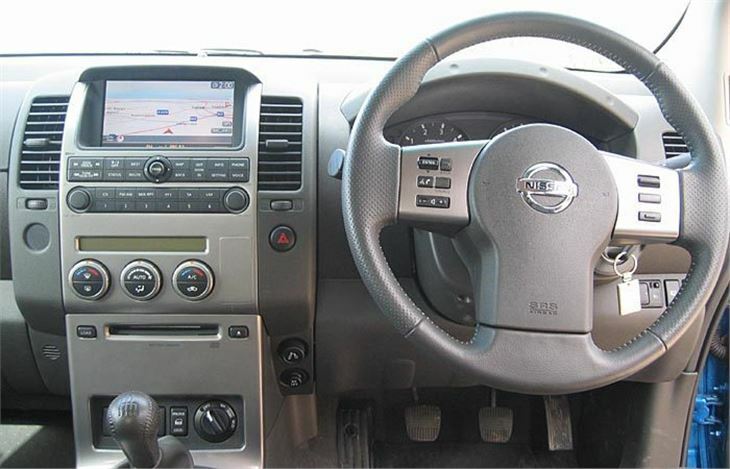 You can counter this to some extent by shifting into 4x4H mode, which you can do on the fly using a dash-mounted knob. But, unless conditions are really bad, the extra wear and fuel consumption mitigate against this, so, like me, you will simply adapt your driving to the vehicle in two-wheel drive. Once you get with it you find you can actually hustle the truck through corners quite quickly, but you have to keep reminding yourself of the consequences of making a mistake with such a big, heavy vehicle. On the motorway it’s a surprisingly good cruiser. 6th gear offers 30 miles for every 1,000rpm and the steering wheel mounted cruise-control keeps it to the selected speed very accurately. It isn’t as quiet as a good car, obviously. But it’s quiet for a truck. The latest generation Birdview DVD satnav loses out in not being touch-screen. But it warns of traffic jams both on your route and in the vicinity of your route. And very neatly switches to a detailed close-up of any junction you approach with precise instructions where to go, better even than those in the new £100,000 Mercedes S600. The King Cab offers pillarless double-opening side doors. 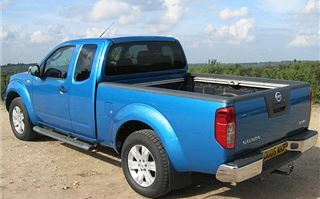 Like the Ford Ranger, Mazda B Series and RX8, and the massive Nissan Titan pick up, the rear side doors are rear hinged, which is very handy indeed. 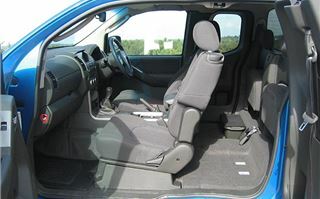 In the back there are a pair of small, folding jump seats with seatbelts but I would not recommend these for journeys of more than 10 miles. The space is best used for secure storage of tools and kit rather than people. 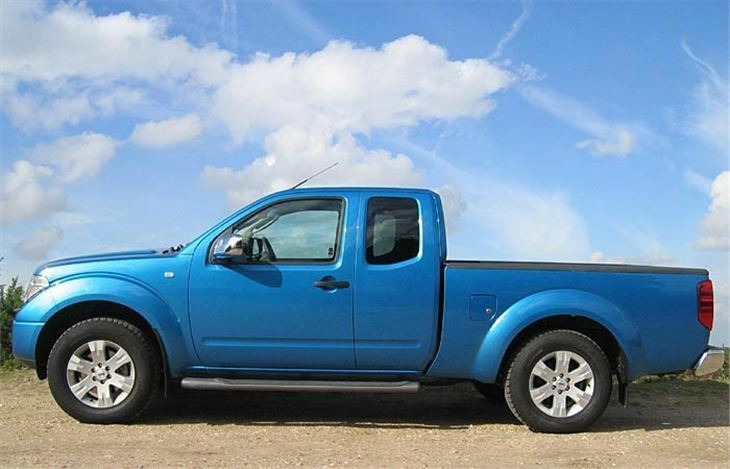 If you need to regularly carry four or five, then sensible to sacrifice 350mm of load length and go for the double cab. 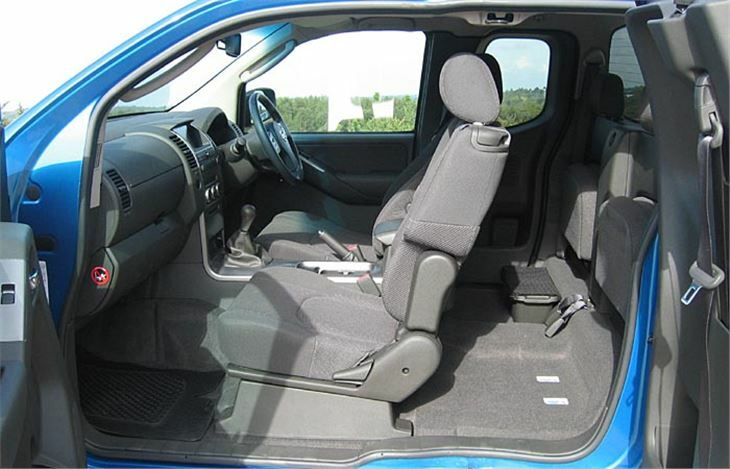 This has comfortable rear seats with angled backrests and decent legroom. And, if you want to use the back of the cab for tools rather than people, you can still flip the seat squabs up. Rather than ship its new L200 Triton from Thailand with its 162bhp 3.2, Mitsubishi will be offering a 160bhp power upgrade of its 136bhp 2.5. 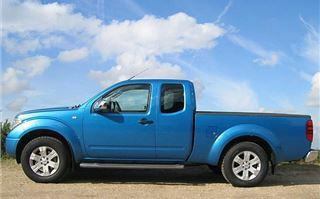 Isuzu has a new 145bhp 3.0 I-TECH diesel for its D-Max and a 155bhp Prodrive upgrade for its older 130bhp 3.0 diesel. And there are rumours that Toyota will eventually bring in the 164bhp 3.0 D-4D for the new HiLux to supplement its standard rather weak 102bhp 2.5 D-4D. 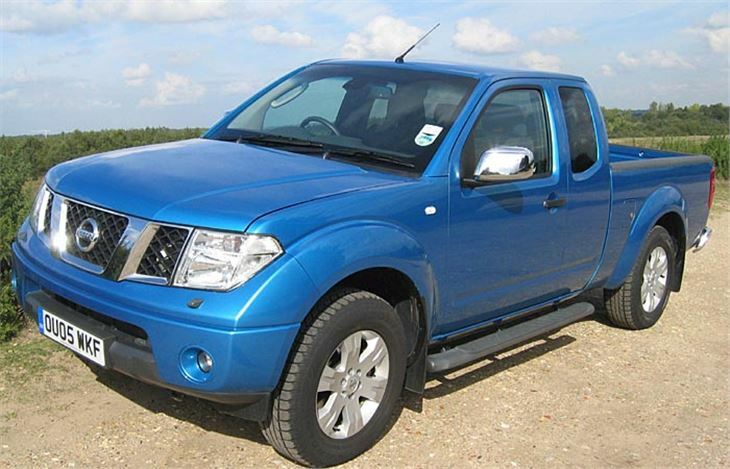 Yet Nissan still manages to outpower them all with its 172bhp Navara. And that makes the Navara undisputed king of the hill.